At face value, a web page seems simple and succinct. But there’s a lot more at play when we look deeper into a page’s features. These features affect our page’s search engine rank, how users receive our message and how credible our page’s look. That’s why it’s important to analyze your page’s UX. You can do this using the Pagezii UX tool. How Does the UX Grader Work? The UX Grader is simple to use. Just enter the page URL you want to analyze, keywords you want to target and the page type and hit go. You can enter any page URL you’d like. Homepages, subdomains, search ad URLs that include tracking – anything. Choosing the keywords you want to grade your page against requires a bit more thought. Use keywords that users would search for in Google to find your page. The UX tool uses the keywords you chose in the overall analysis of your page. Primary Keyword: CRM Software – This is the keyword the CRM company is optimizing for. Auxiliary Keyword: Customer Relationship Management – The CRM company knows users also search for this term. Primary Page: A website’s homepage. Sub Page: A page stemming from a homepage. e.g. a product or solutions page. Landing Page: The destination URL of an ad. It’s a good idea to specify which type of page you’re analyzing. The UX tool grades page attributes based on page type. 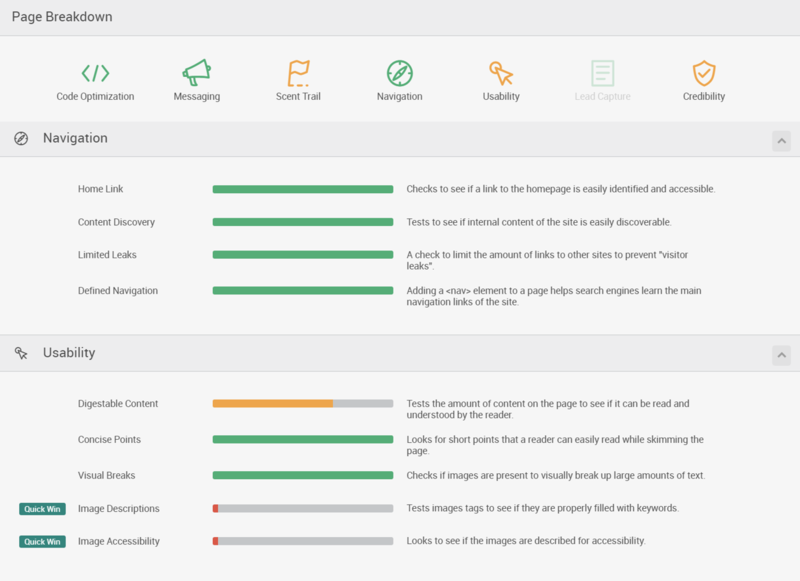 After you hit the Grade button, Pagezii analyzes your page’s UX and generates your results. B – A+: Strong Page UX. Only requires a few minor tweaks. D – C: Page UX is okay. There’s room for improvement. F: Poor Page UX. There are many attributes missing from your page. Page messaging is based on the text found on your page. Messaging varies depending on the language used. Brand Awareness – Get potential customers to recognize your brand. Demanded Gen – Drive awareness to your companies products or services. Lead Gen – Initiate customer interest into your companies products or services. The UX tool shows if your meta-tags need optimization to include focus keywords, or if they’re missing altogether. It also displays optimal meta tag character limits. This data shows your character limit over-under for each tag. Meta attributes that exceed character limits risk truncation when displayed in a Search Engine Result Page. So try keeping meta attributes in the green. Reader Profiles help you understand your page’s communication style. This section grades page content based on reading ease and content complexity. You can use this data to adjust page content. This helps you focus on communicating with your audience in a style they appreciate the most. Now we’re into the nitty-gritty. The Page Breakdown section gives you the details of your page’s UX. Page attributes flagged as green represent a pass. This means page UX is strong in a particular category. A yellow attribute shows where improvement is needed. A few minor tweaks should boost scores into the green. An attribute flagged as red represents a low score. These page attributes may need a lot of improvement or are missing from your page altogether. At first glance, a web page may seem simple, but there’s a lot of factors at play when we take a closer look. 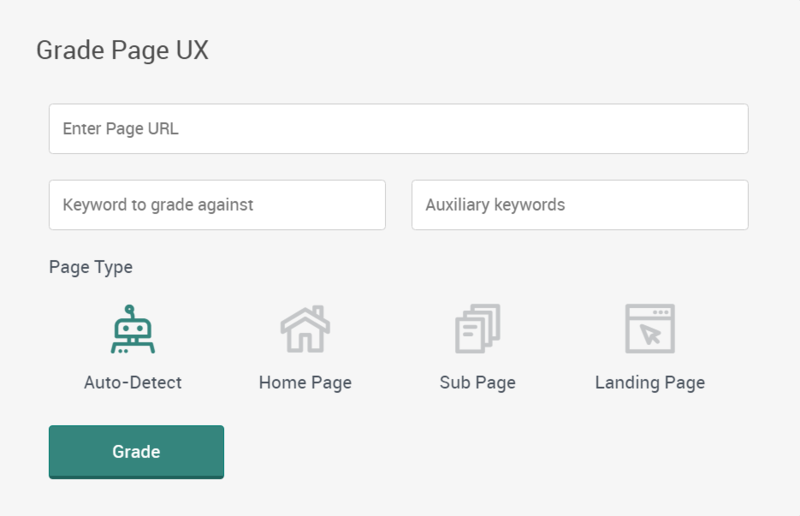 Use the Pagezii UX Grader to analyze your page and reach your objectives.